cherry-picked by the Alex and Alexa team for your little ones. 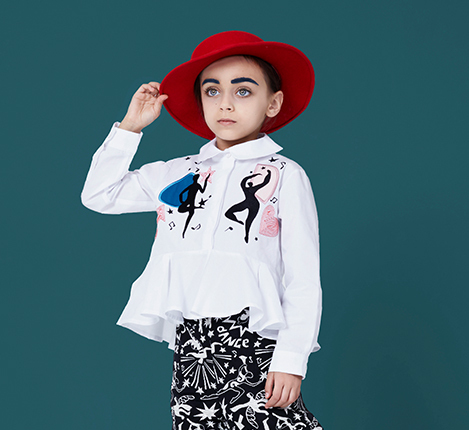 Cool kids everywhere will love this Stella McCartney Kids all in one, my favourite style from AW18. The denim makes it super versatile, while the flame print adds a great statement touch. Pieces that can be dressed up or down are my favourite and this shirt ticks all the boxes – perfect for parties with friends or just a casual day out, there is no end to the mix and match looks you could create. 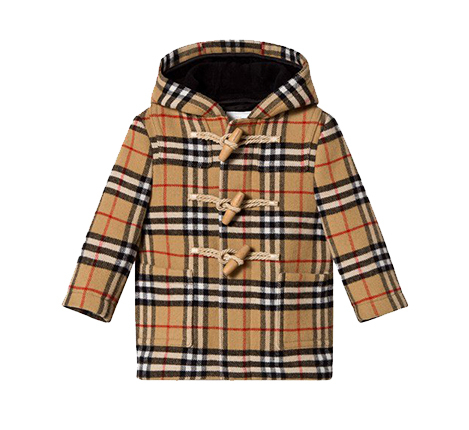 You can’t go wrong with a classic Burberry piece, and this duffle coat is going to be a must-have item for their new season wardrobe. Wear with clashing coloured layers for a cool up-to-date look. My nephew, little Patpat likes to protect the earth so this would make the best present for him. 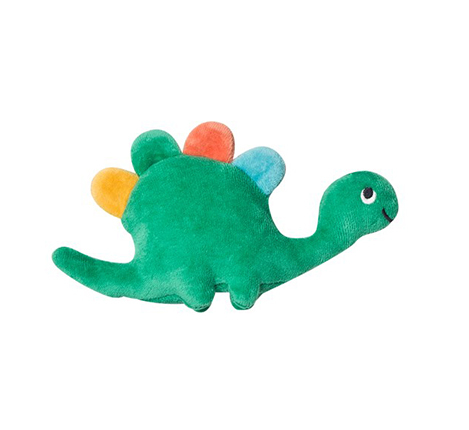 Organic brand Frugi creates safe soft toys that are eco-friendly. Not just that, they donate 1% of all their profits to a charity each year! Win-win! With Basketball being a key trend for AW18 there’s no brand that does it better than Air Jordan. These trainers are cool, light and comfortable for your little one. 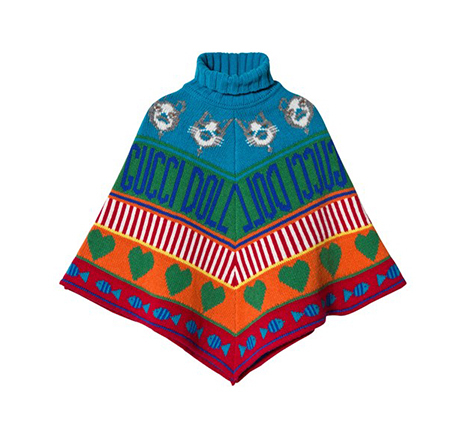 Wear with a pair of sweatpants or jeans and a casual crew sweater – easy! There’s nothing like wrapping yourself up in a soft, padded jacket and watching the beautiful autumn leaves fall! Made from 100% recycled Polyester, this geometric anorak will protect your little one from the cold – and growing up in the 90s, the vibrant and playful print ticks all the boxes for me. Practical and effortlessly cool, it will be a welcome addition to their autumn winter wardrobe. I’m a huge fan of gender neutral, positive message pieces and I designed this item as part of our exclusive collection with Maison Labiche with that in mind. I’m inspired by my friend’s kids and the hope they bring us all, they really are Future Heroes. This cute striped Breton with a flash of neon embroidery is in honour of them and all the other amazing kids out there. 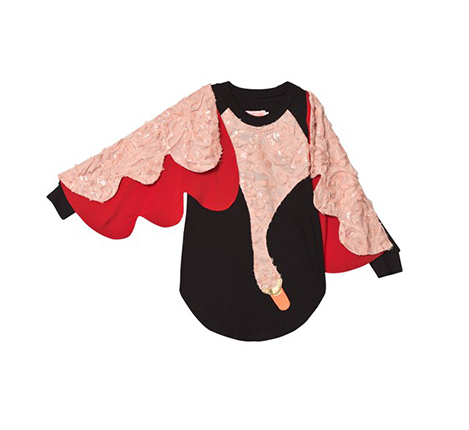 Every little girl would have imagined being an elegant swan or a free bird once, and this whimsical dress from Bang Bang Copenhagen will help children realise that dream! Pair with white tights for a bold look, or with leggings for a casual everyday style. I am the ultimate bag lover, and this 100% leather crossbody bag from The Animals Observatory would make a great gift for your little girl, a cherished first bag that is timeless and will stand the test of time. Available in blue and red, the bag has plenty of space to store their everyday essentials. Ponchos are some of my favourite pieces ever. They’re not only versatile but also add a bold fashion statement while still being comfortable and warm. Pair it with Gucci’s embroidered loafers for an unforgettable look. Getting dressed has never been so much fun! 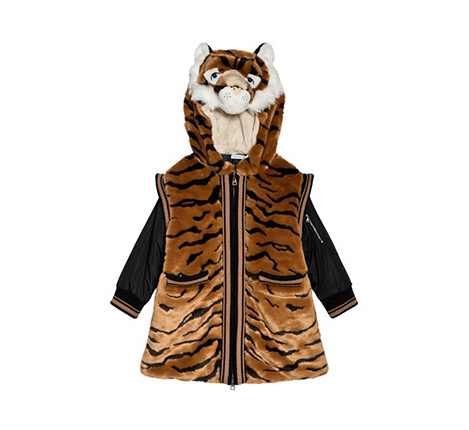 I’m going wild for this faux fur tiger coat. Let your little ones embrace their creativity whilst keeping wrapped up for the colder months. I love all things shiny, sparkly and pink – so these trainers from Golden Goose are definitely a winner! With suede shoelaces and leather outer, they’ll surely be showstoppers everywhere they go. 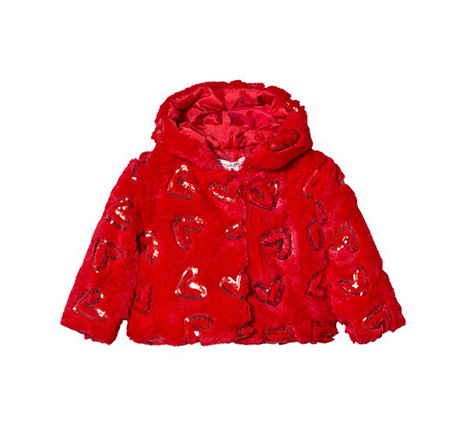 Designs that are both smart and practical are perfect for tiny creatives, and Agatha Ruiz de la Prada’s heart jacket has a sophisticated sequin finish that means it can be worn over party clothes as well as for everyday outdoor fun. All of Agatha’s designs are made sustainably and the lining will keep girls warm all through the cold season, making this a great outerwear choice! 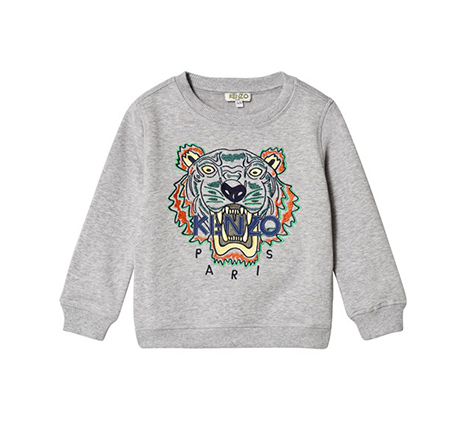 You really can’t go wrong with an iconic Kenzo jumper, and this grey one is a classic investment piece they’ll be able to wear again and again. Style with their favourite jeans for a comfy weekend look or with smart trousers and a blazer for more special occasions. 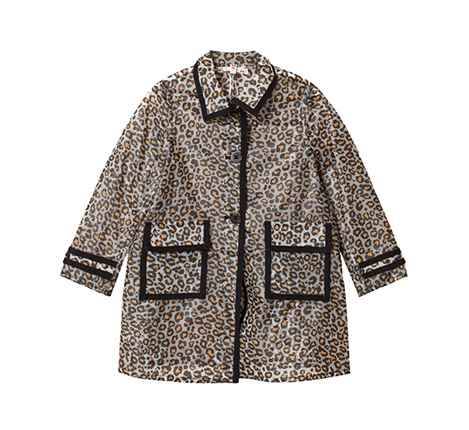 Animal print is one of fall’s biggest fashion trend and it’s clear why when you see this lovely mac from Bonpoint! Featuring two pockets and a contrasting black lining, it looks feminine and classic yet still playful – the answer to cold and drizzly days. Pair with blush rain boots for a super sweet look. I got these rain fairy boots for my daughter and now she wants to wear them every single day… even when it’s not raining! From the beautiful metallic hue to the statement bow, it’s so easy to mix and match and it instantly gives a fun touch to her outfit. This Top Gun inspired aviator is not only stylish but perfect for little ones dreaming of becoming pilots! Crafted in buttery soft faux fur leather, it features a zip fastening and two button-down pockets for little tots on-the-go.